Let’s be honest, when it comes to taking photos alone, it can be pretty hard. Do we use the out of style selfie stick still while we are on vacation? How can I Facebook and Instagram LIVE without awkwardly stacking my iPhone against a stack of books and having it fall mid-stream? 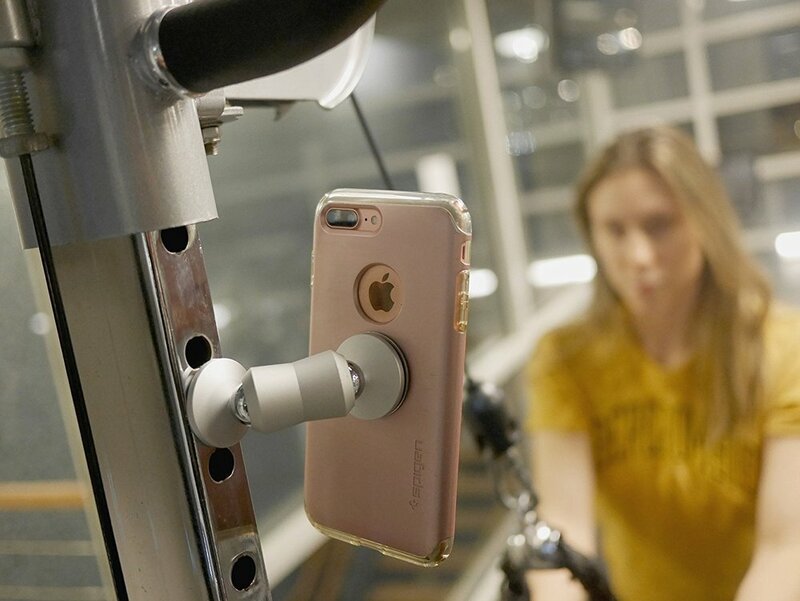 That is where the world’s first dual magnetic anywhere mount from Clutchit comes in clutch (get it?). This new magnetic mount is the answer to so many of these questions along with countless more for anyone. Whether you use your phone or tablet for work, school, or personal reasons. 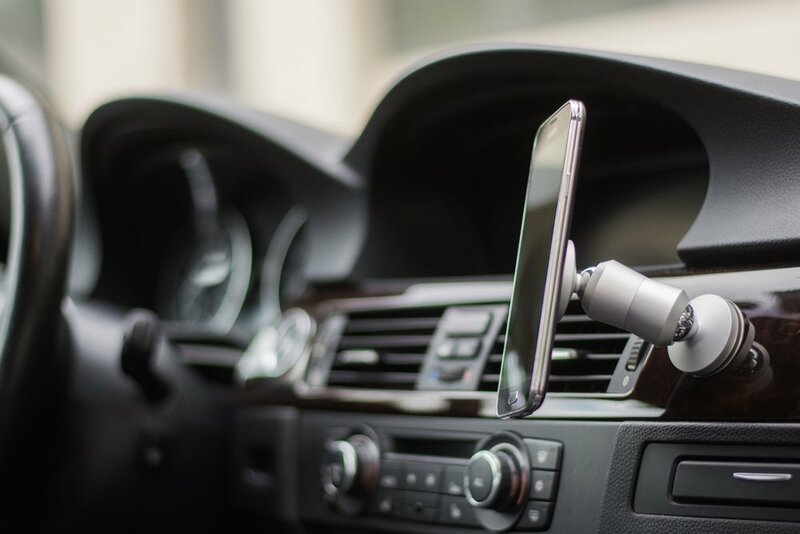 The ClutchIt is a unique double-sided magnet phone holder. The device can hold onto metallic surfaces or nearly any surface with metal plate pads. The device comes in beautiful matte finish that is styled to match my phone. They come in black, gold, rose gold, silver and a darker charcoal. 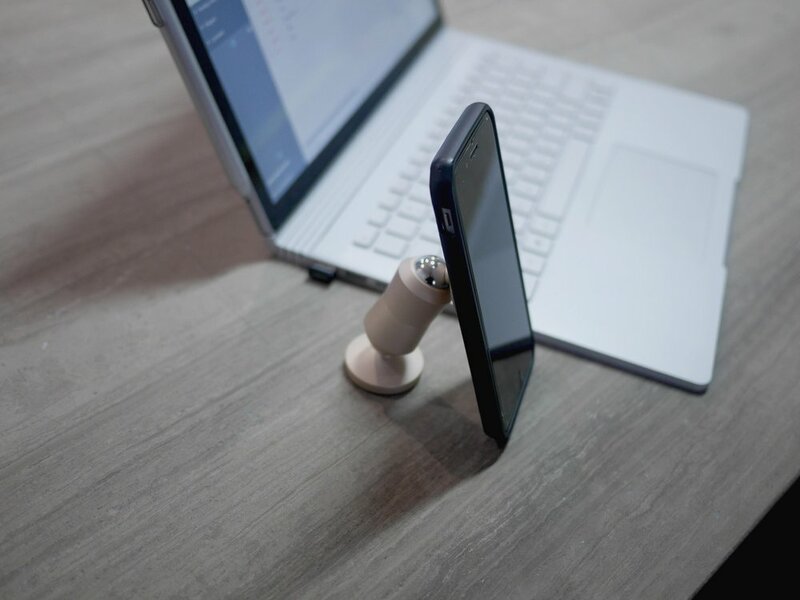 This revolutionary new holder allows for the perfect amount of customization as you can adjust it from both sides, the one attached to the surface and the other side attached to your device. When ordering you receive a few of the magnetics to effortlessly attach to your phone. That’s why I personally love it! You can adjust is at just the right way. I love using it in my kitchen while I cook. I cook a lot each week and I love trying out new recipes from various websites. Sometimes it’s hard because my hands can get pretty messy with various ingredients and having to constantly wash them off, so I can pick up my phone to check a recipe can be very cumbersome. This lets me easily set it up and scrolls down with the simple touch of one finger. I also feel safe using it because the hold onto my device is so strong. I don’t feel like it’s going to slide off and fall onto the floor. Another great use for it is for another multiple screen for work days. I work in communications and often need multiple screens to research things and then write about it. When I review shows or products I have to split my screen with various web pages along with my word documents. Often my screen gets cramped and full of various pages. Clutchit allows me to use my iPad to have almost another screen held up right next to my laptop. My productivity goes through the roof when I do this! No more wasting time going back and forth between word documents and web pages. What makes Clutchit so great is the versatility that it has. You can connect to it virtually anything. Almost any surface and almost any location for various uses. Whether you use it like me in the kitchen or at the office or your desk, the versatility for it are endless. Check out their Instagram (@clutchaccessory) to see the various ways you can use it. Are you interested in purchasing your own Clutchit? Well you can save 30% on your first purchase using my code BRETTBURGER or buy clicking the link or button below. The mount is normally $39.95 which is a pretty small investment for someone who takes their blogging or live videos seriously. 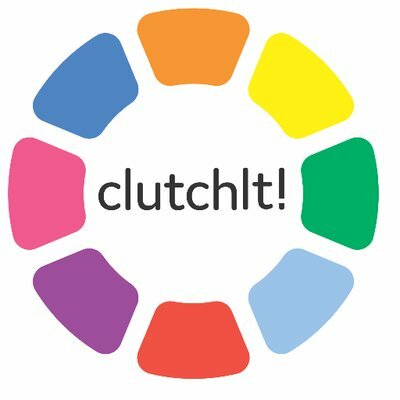 You can order Clutchit with a variety of purchase methods including VISA, Mastercard, Discover, American Express and even PayPal. While you order, don’t forget to use my code BRETTBURGER for 30% off. You can also click the DealSpotr button to go to their page and locate the most updated list of deals for Clutchit. Clutchit sponsored this post. Although I received free product, all opinions are my own.